For all those pin-addicted people out there, Pinterest has introduced a new way to monetize your pinned images. The site unveiled what it’s calling “buyable pins” at an event at its headquarters in San Francisco yesterday. Rich Pins — pins that have more information than a normal link, such as the ingredients for a recipe — will get a new button that allows users to purchase things directly from Pinterest partners. Users will see prices, be able to select specific types of a product (like the color), and then they can tap the button to buy the product. That item then arrives at the user’s door. In other words, every time I pin a recipe from my cooking blog, with a single click of the button, my followers can purchase all of the needed ingredients. Buyable Pins— will launch later this month and will enable users to buy specific products that are pinned directly through the site. There is no fee for buyers and merchants, the company said. 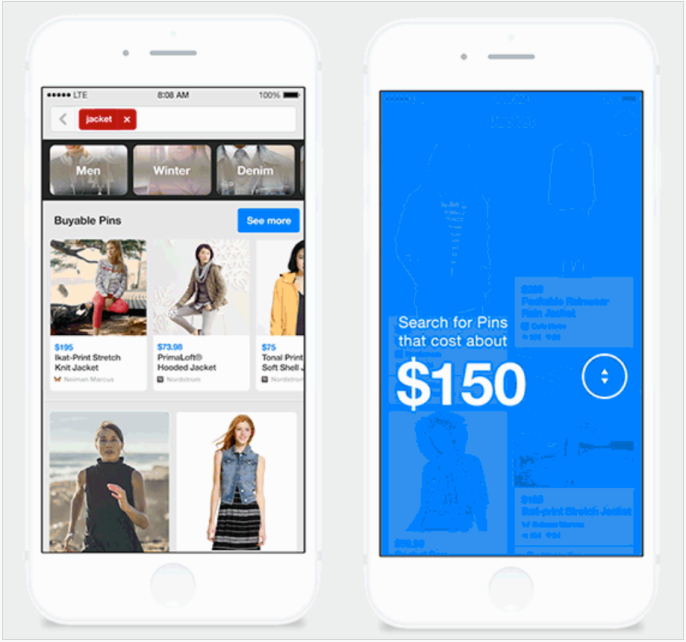 It’s launching Buyable Pins with Shopify and Demandware. It looks like Pinterest will be giving Etsy a run for its money in the coming months. I intend to use the Rich pins right away, so I will report back on the ease-of-use, success rates and overall user experience (buyer and seller). In the meantime, let me know what you think. Previous Post: What Does Facebook Mean By “Instant Articles” Anyway?